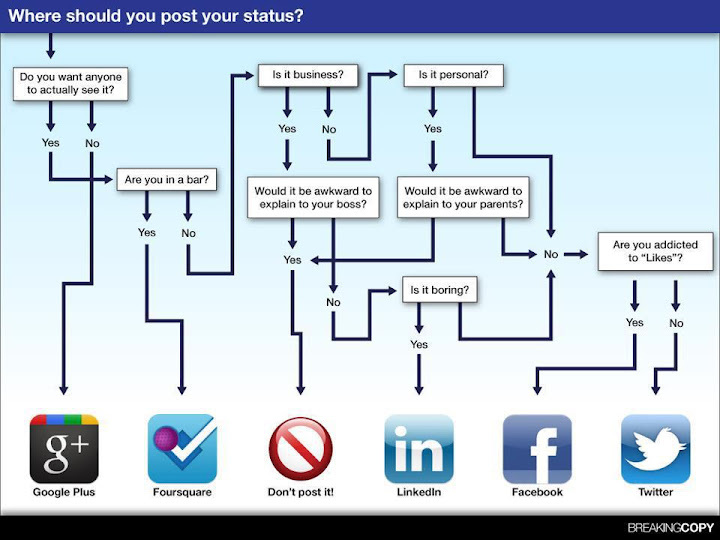 Home » humour , social-media , world-affairs » Which Social Networking Platform Is For You? Stupid farming games where friends of your favourite blogger rudely command you to 'behave'? >> Facebook. hehe. yeah. Funny graphic this. I had no idea there's something called 4 square. with a hockey federation inspired logo for some reason.